Избранные сонаты для фортепиано. Ноты. 2-е изд., стер. This collection contains 21 sonatas by Domenico Scarlatti (1685-1757), an Italian composer, harpsichord player. Scarlatti's sonatas are very diverse in form and content and represent a significant novelty compared to the art of rococo. 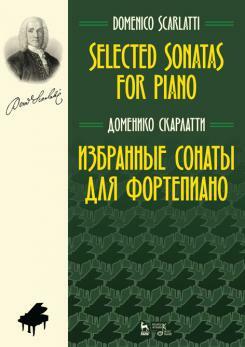 The collection is addressed to pianists, teachers and students of musical educational institutions.